Pangdemonium’s first ‘family-friendly’ show still leaves plenty of wink-wink nudge-nudge moments for the grownups in the audience. What might life have been like for the boy who would become Peter Pan before Neverland? With that simple premise, Dave Barry and Ridley Pearson crafted the unofficial prequel to J.M. Barrie’s classic novel of the boy who never grew up – Peter and the Starcatcher, imagining the myriad histories of the many characters within the novel, from the Lost Boys to Captain Hook. 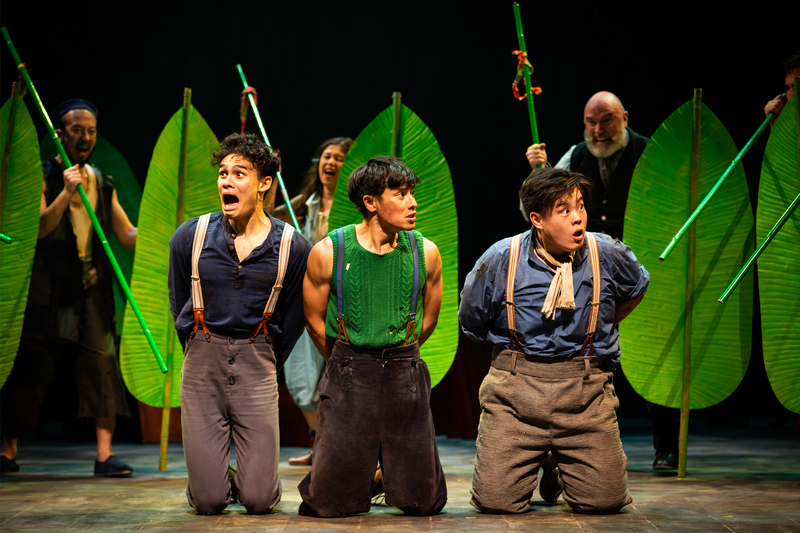 For their final production of the year, Pangdemonium has chosen to adapt Peter and the Starcatcher and give it a Singaporean twist, adding local food and location references, shifting the setting to 1885 Singapore, where a motley crew of characters aboard two ships clash. With the crew of the Wasp transporting the mystical, wish granting ‘Starstuff’ to be destroyed, their vessel becomes the prime target for nasty pirates onboard the Chinese junk Never Land. 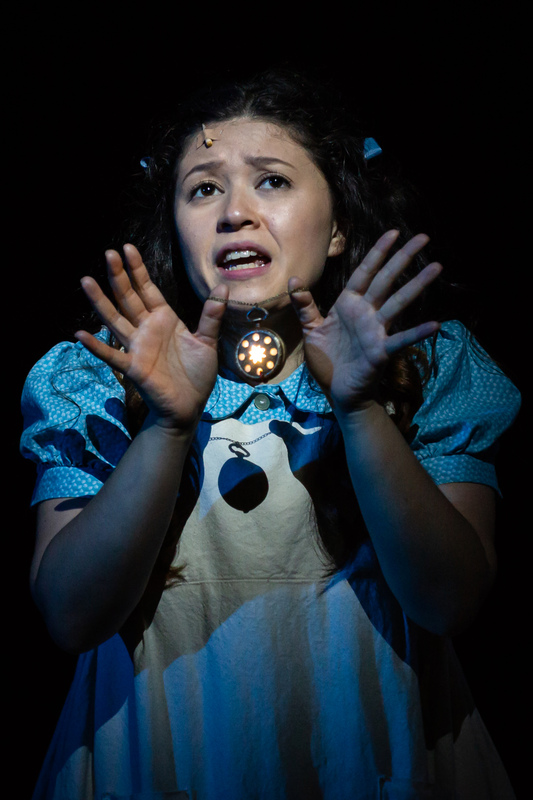 Meanwhile, young Starcatcher Molly Aster (Carina McWhinnie) discovers a group of orphans in the hold, and a fast friendship between herself and a nameless boy begins to develop while a heavy storm begins to brew on the high seas. 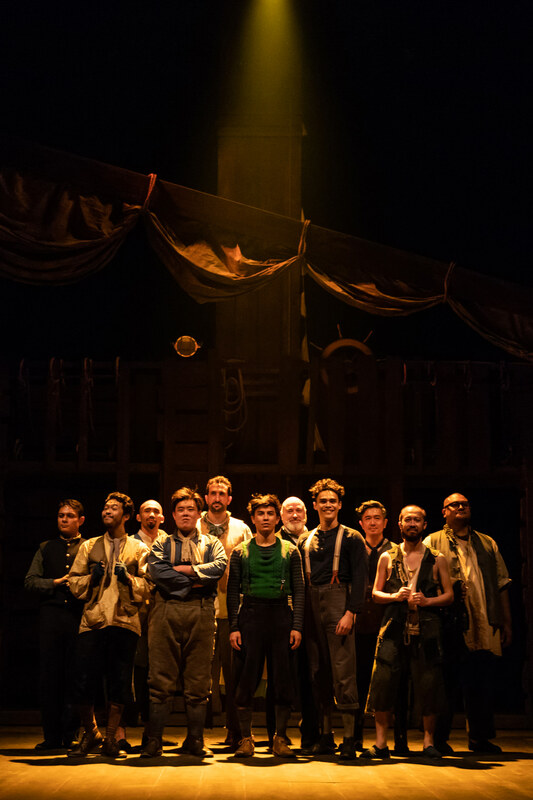 Directed by Tracie Pang, Peter and the Starcatcher sets sail for an adventure from the moment the curtains are raised, with an obvious framing of the stage, complete with old-timey footlights, mentally preparing the audience for a whale of a show. One is immediately whisked away on a swashbuckling adventure, with Philip Engleheart’s impressive pirate ship set acting as a larger than life playground for cast members to acrobatically swing and navigate their way around it. With the ship itself hiding plenty of surprises along the way, the action builds up to a hurricane Act 1 finisher, elevated by James Tan’s stormy lighting and Joel Nah and Rizal Sanip’s live, incidental music, played not only on Western instruments, but a couple of Asian ones too. But the real joy of Peter and the Starcatcher lies in its stellar cast. 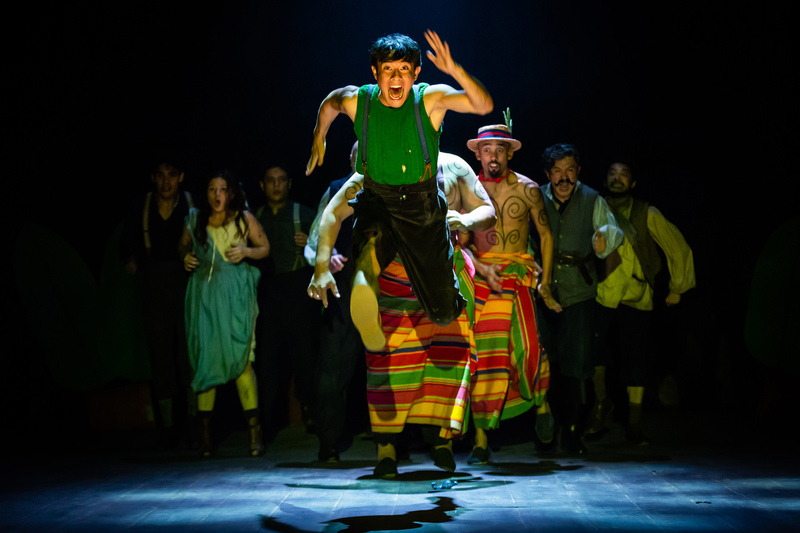 Although the localised elements can at times feel forced, and the tonal shift from the first to second act slightly jarring, it is truly to the cast’s credit that they present both halves equally earnestly, making it that much easier to buy into this fantastic land’s tomfoolery and escapades. With each actor given multiple roles to play (including a riotous school of questionable mermaids), there’s plenty of fun to be had onstage as they run from giant crocodiles, deal with island savages and even make meta-theatrical jokes. As the plot thickens and the adventurous spirit runs high, there have no doubt been countless hours put into rehearsals, with the entire ensemble working well in unison to create some real theatrical magic seen onstage. As impressive as the technical elements are, it really is the attention to detail and the human touch that lends Peter and the Starcatcher its charm, from the creative use of cast members to create the ship’s interior, to quite simply, the exuberance, energy and chemistry they display as they interact with each other. Adrian Pang in particular, delights in chewing the scene as the nefarious Black Stache, while Carina McWhinnie charms as the sole female representative, a fire in her spirit as she races around and proves she’s just as capable, if not more so, as the boys in the band. As Peter Pan, Thomas Pang perhaps has the most work to do, both emotionally and physically through plenty of stunt work, and his journey from dour orphan to valiant, self-sacrificing hero is heartwarming to follow from start to bittersweet end. 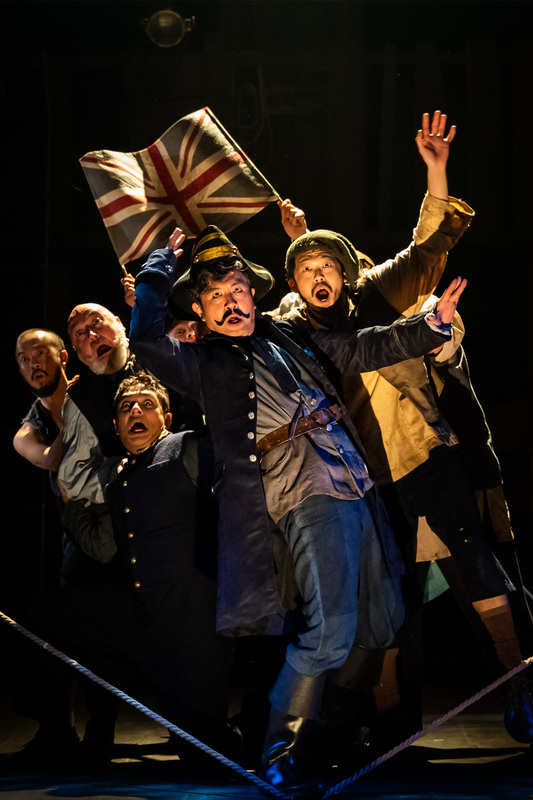 Peter and the Starcatcher is at its heart, a raucous celebration of boyhood and youth, manifested through the soulful, madcap performance put on by the stellar cast. It’s a magical play that transports you from dreary Singapore to the lush jungles of Neverland in the blink of an eye, makes you wish you never grew up, and above all, is the perfect send-off to end Pangdemonium’s 2018 season, leaving us nothing but enraptured with all the hope and wonder of a child again.